PN pain cut heavily into my sleep last night. So today turned into a quiet day where I tried to claw back some needed sleep. I did pull out the mower and set the height to max. I cut the road patch of the back lawn, the only really tall part of all the lawns. 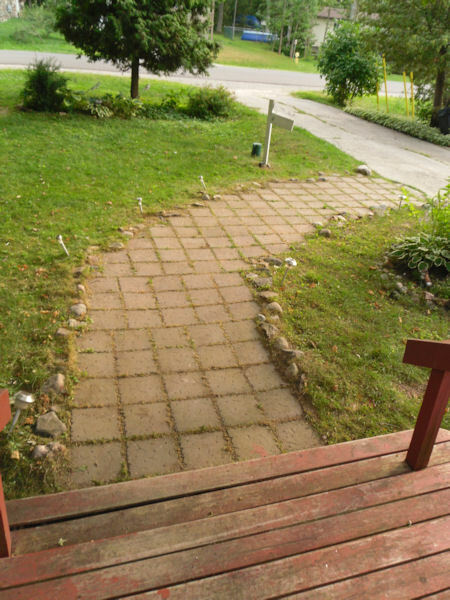 I weedwhacked the hell out of stone path. It was awfully shaggy. You can see from the bare nature of the steps what I will be doing this weekend, restaining the deck.